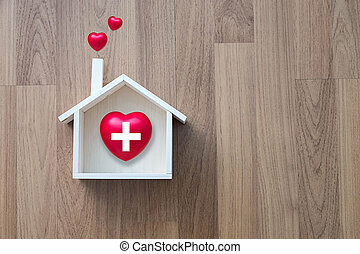 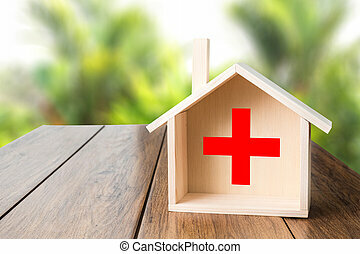 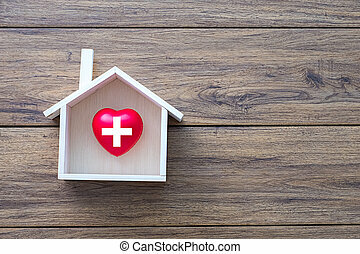 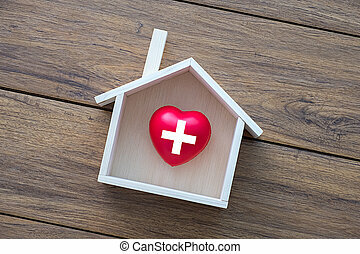 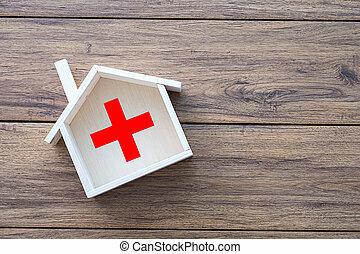 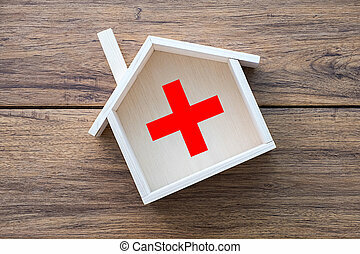 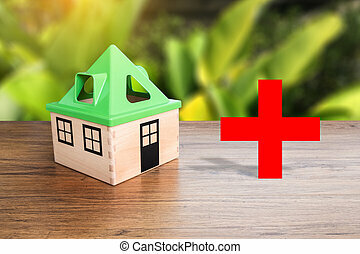 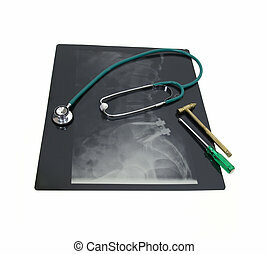 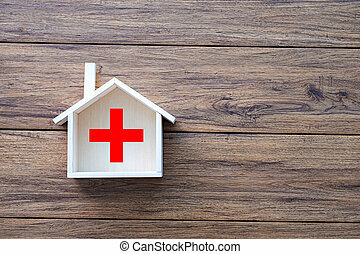 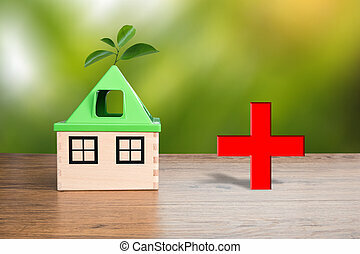 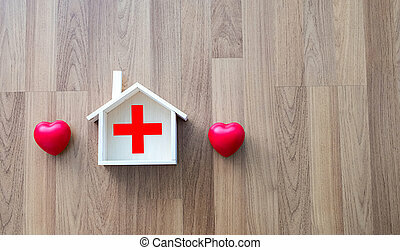 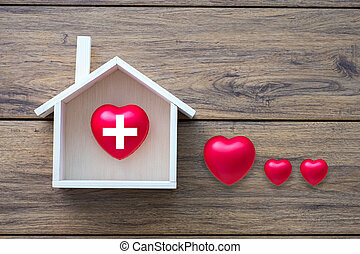 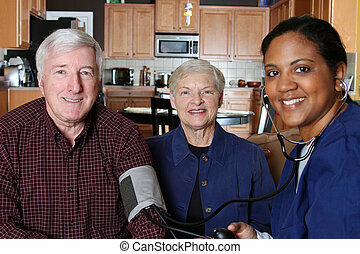 Home health care. 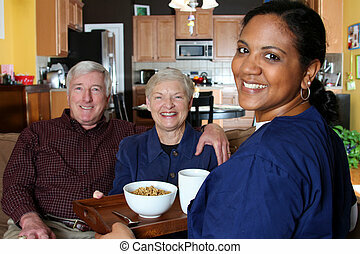 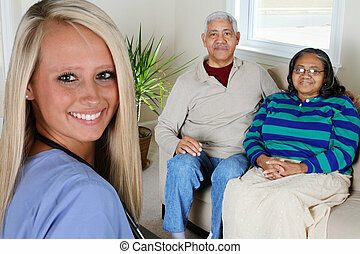 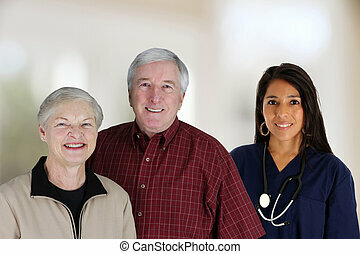 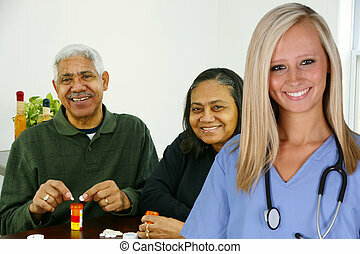 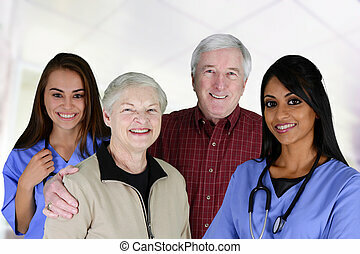 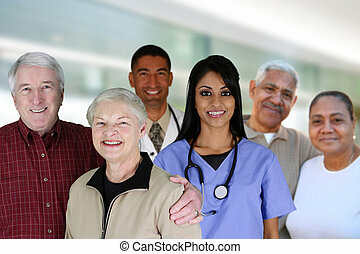 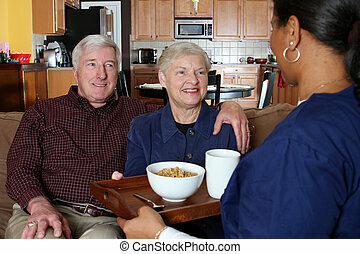 Home health care worker and an elderly couple. 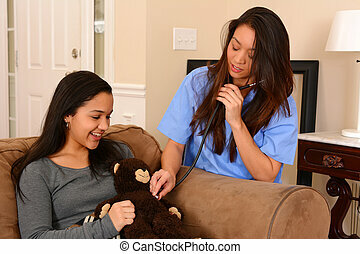 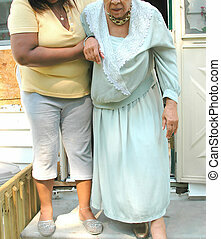 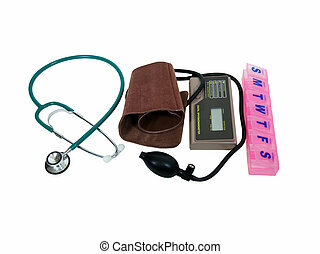 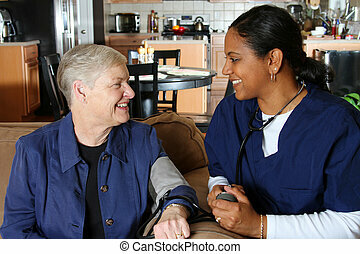 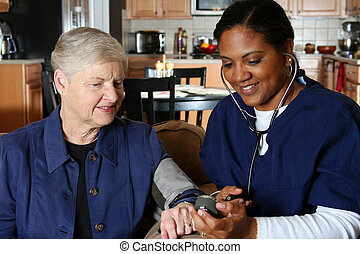 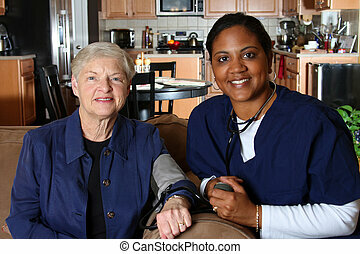 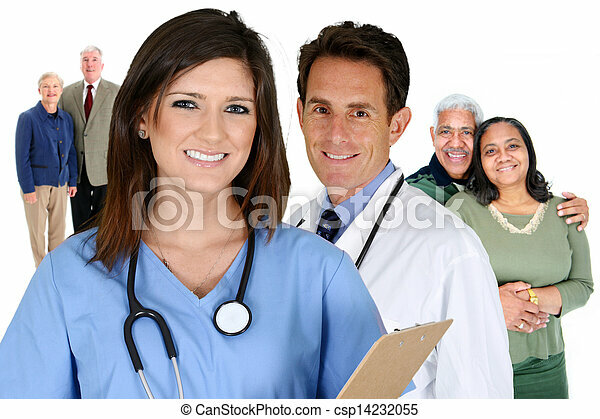 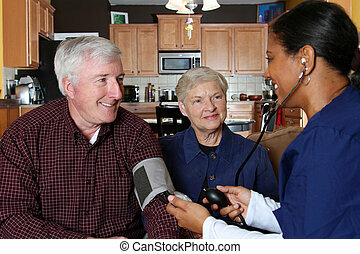 Kind, friendly home health nurse taking her patient\\\'s pulse. 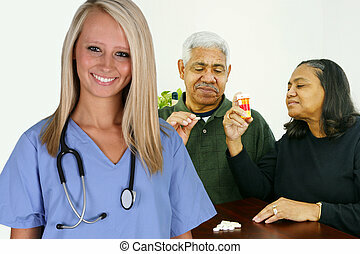 Both are smiling.